One of our favorite games, Cards Against Humanity, is getting in on that Pride sponsorship action. The card game’s makers have just released the Cards Against Humanity Pride Pack, featuring 30 new cards with LGBTQ themes. Who says rainbow capitalism is all bad? Though it’s pretending it is, the Cards Against Humanity Pride Pack isn’t entirely an example of empty rainbow capitalism. 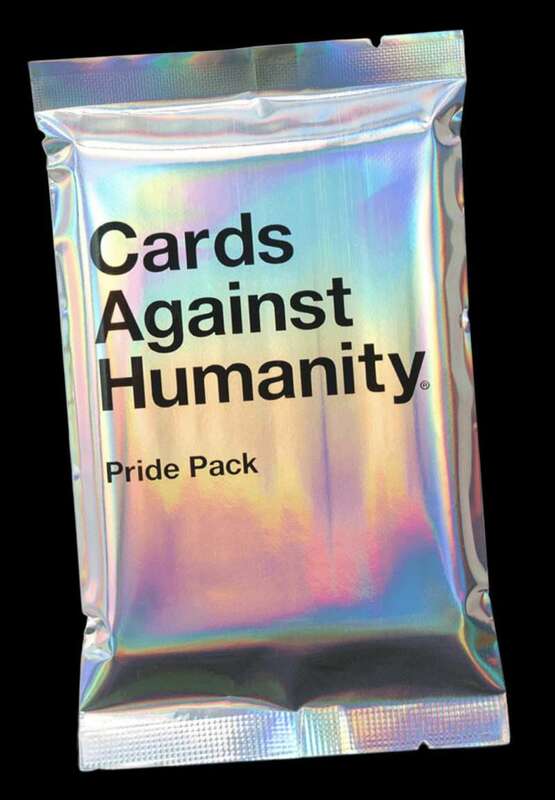 Unlike many companies who just use Pride as another income stream, all proceeds from the Cards Against Humanity Pride Pack are going to help the community. The funds are going to Howard Brown Health, an organization devoted to eliminating the disparities in health care in the LGBTQ community. This is in line with other Cards Against Humanity campaigns (or, as they call them, publicity stunts). Late last year, it sold a special holiday bundle, with the proceeds going to buy land to block Trump’s border wall. 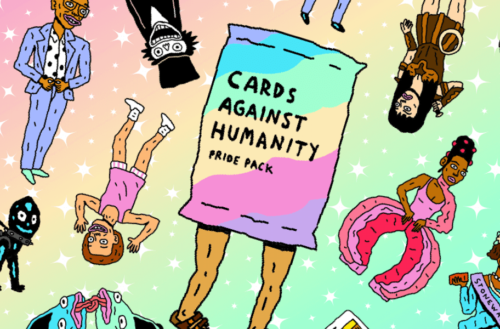 Of course, this is all well and good — but what’s in the Cards Against Humanity Pride Pack? There are 30 brand-new cards for use to fill in the blanks. And it wouldn’t be a Cards Against Humanity expansion without an amusing website. 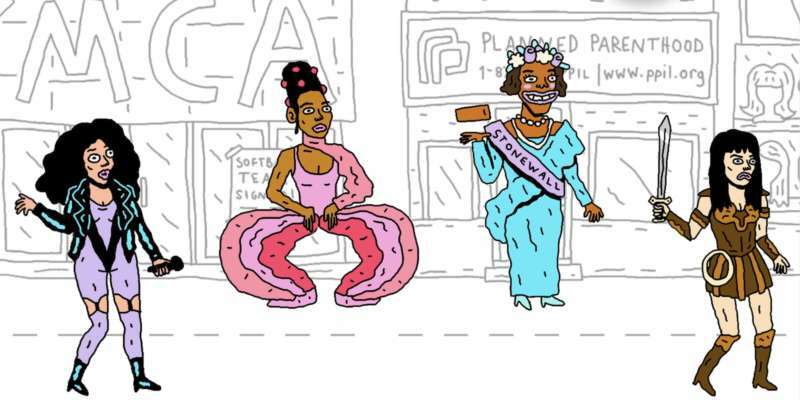 In this case, there’s a randomized Pride parade (shown above) featuring some of our favorite gay icons — John Waters and Divine, RuPaul and the Babadook, just to name a few. 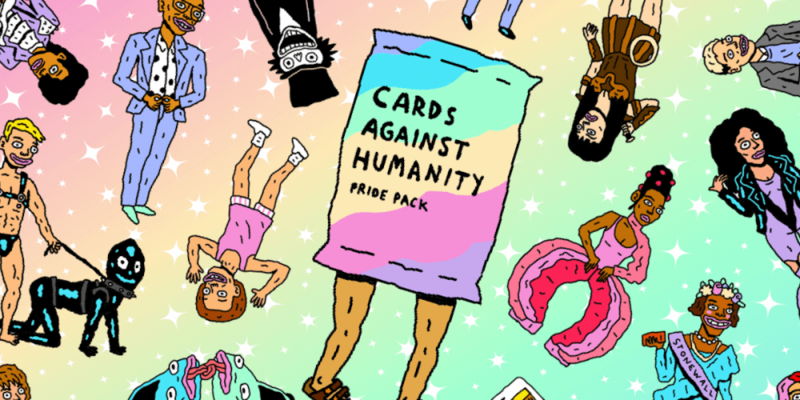 The Cards Against Humanity Pride Pack costs $5, whether you get it with glitter or not. Again, Cards Against Humanity recommends not getting the glitter. What cards would you like to see in the Cards Against Humanity Pride Pack?